Mill House Medical Centre’s aim is to provide the highest standard of patient care, whilst incorporating a holistic approach towards promoting health, preventing disease and managing illness. We do not discriminate and aim to treat all patients with dignity and respect. 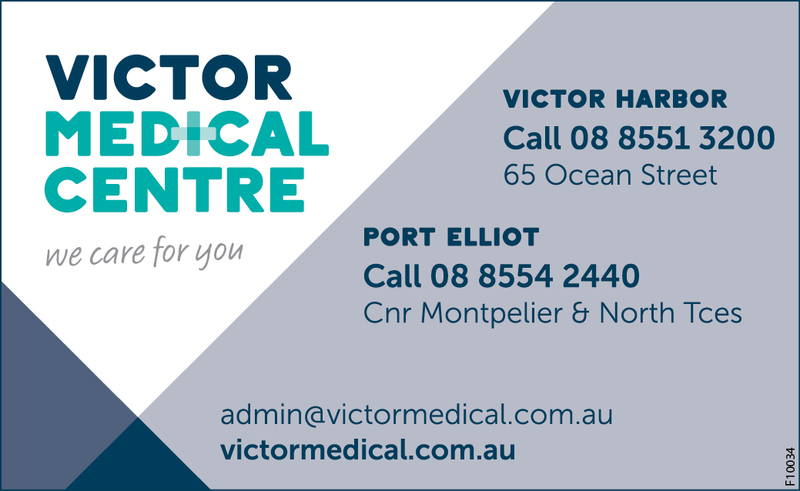 The Victor Medical Centre has been providing GP services to the South Coast for over 40 years. 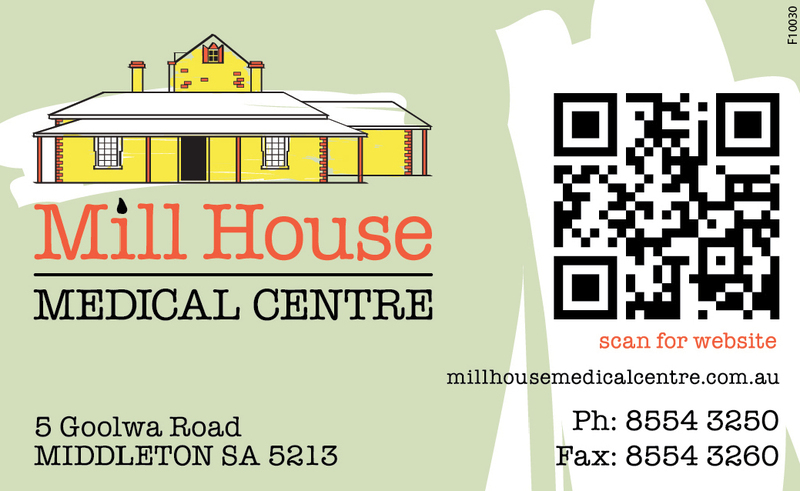 It operates two centres – the Victor Medical Centre in Ocean Street, Victor Harbor and the Port Elliot Medical Clinic on the corner of North and Montpellier Terrace in Port Elliot. Appointments are generally 15 minutes’ long but longer appointments can be arranged at the time of booking. Home visits can also be arranged if the patient is unable to get to the centre. The Victor Medical Centre has a very comprehensive website with information about fees, appointments and services offered. To find out more visit www.victormedical.com.au. 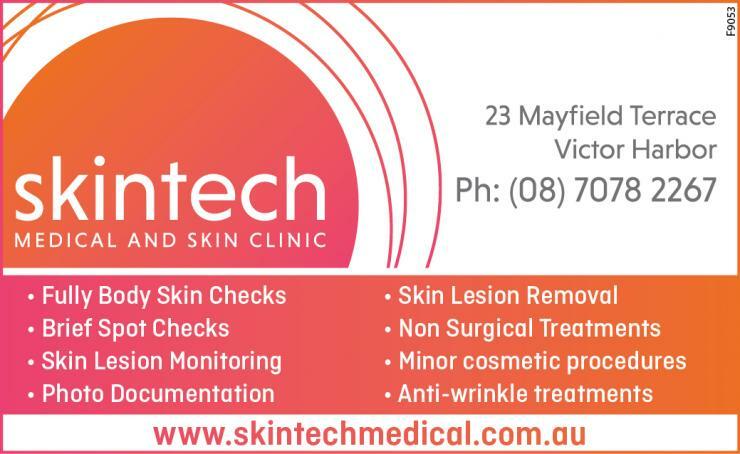 Skintech is a medical clinic focused on empowering you and your family with the necessary skin screening knowledge. Should you ever need further diagnosis, monitoring, and support our clinic is here to assist and guide you with your treatment.